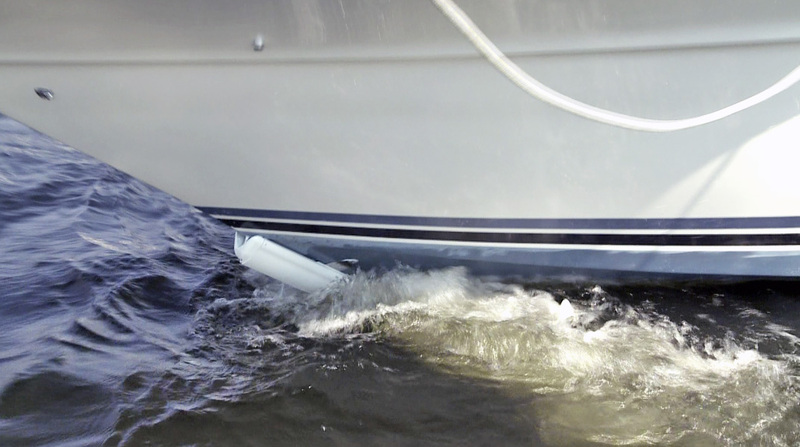 Depending on your boat’s power, length and configuration, wind and current can make docking a stressful endeavour. One way to reduce the stress is to install a bow thruster. 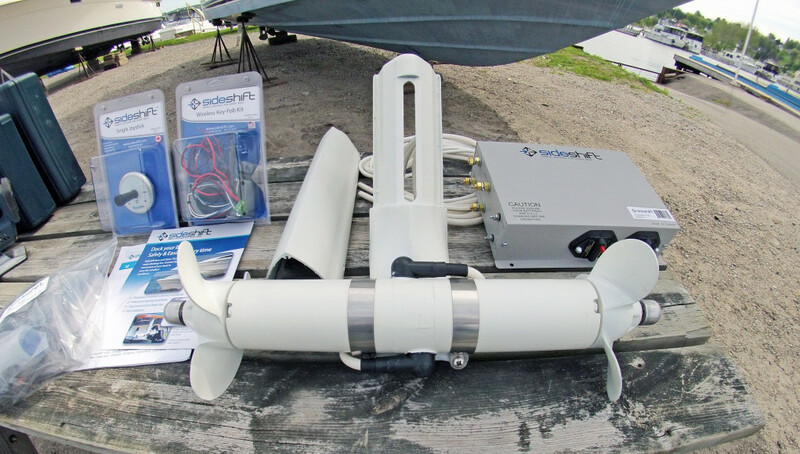 To make this a cost-effective option – and a DIY project – Canadian company Sideshift offers a variety of models to suit any application. 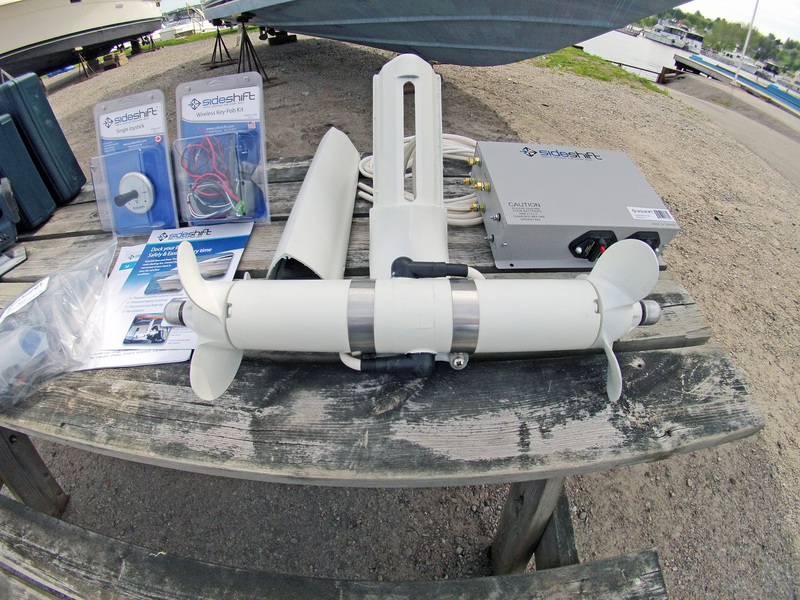 The Sideshift kit contains all of the components the installation requires except battery cables, additional battery terminals, batteries and marine sealant. First, the clamp strap was positioned between 2 and 6 inches above the waterline and the holes to be drilled were marked. Having confirmed there was adequate clearance inside the hull, the pilot holes were drilled using a 5/16-inch or 8-mm bit. The final hole size was made with a ½-inch or 13-mm bit. 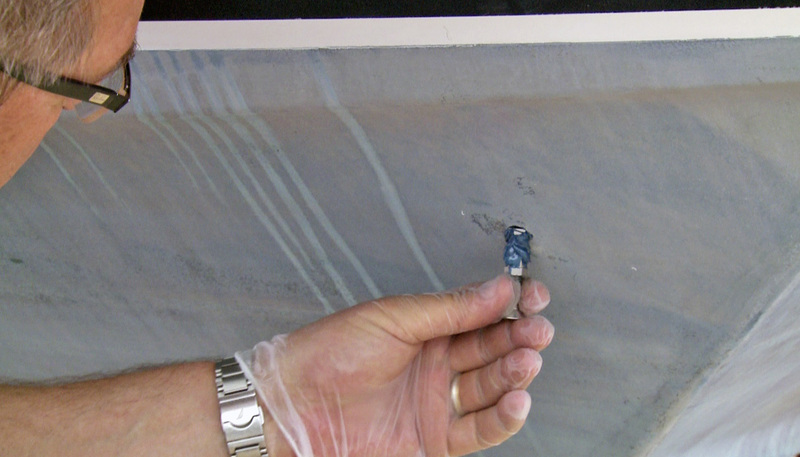 Using a caulking gun, the supplied epoxy was applied to the hull inserts and to the holes, and then the inserts were slid into place. 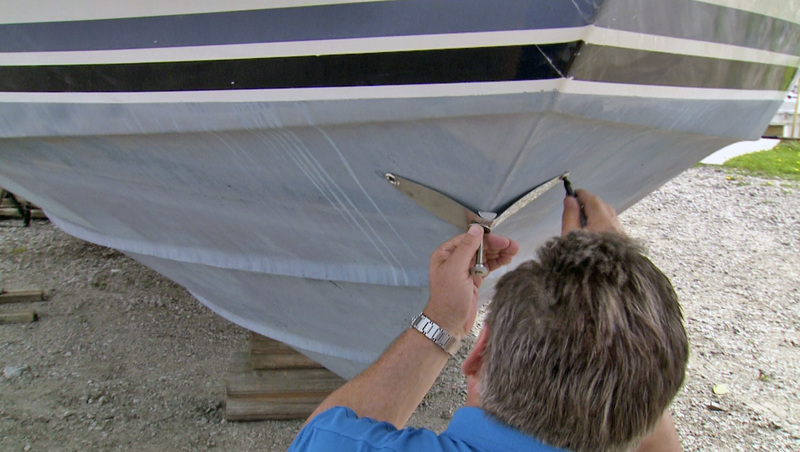 Additional epoxy was also applied around the inserts in the inside of the hull. After the epoxy cured, the bolts were removed with a 3/16 Allen Key and excess epoxy trimmed. 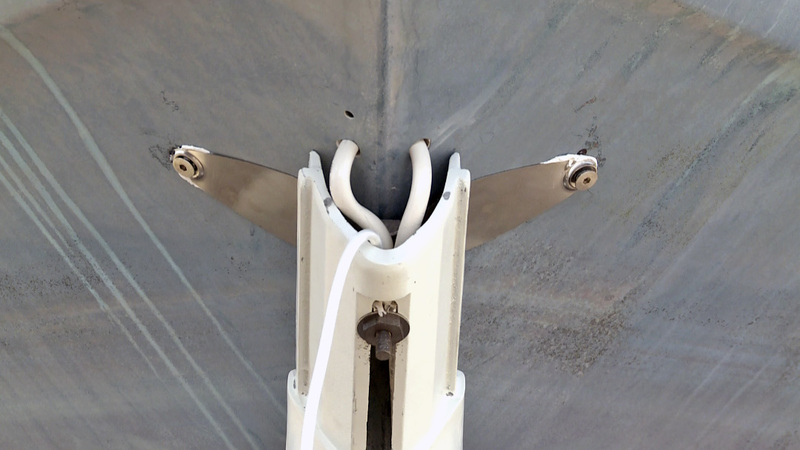 Marine sealant was applied around the holes in the clamp strap. The strap was then set into place and the bolts secured. The nut and washer were removed, then the thruster was slid over the bolt, and the washer and nut installed. These were then tightened just enough to hold the thruster against the boat. 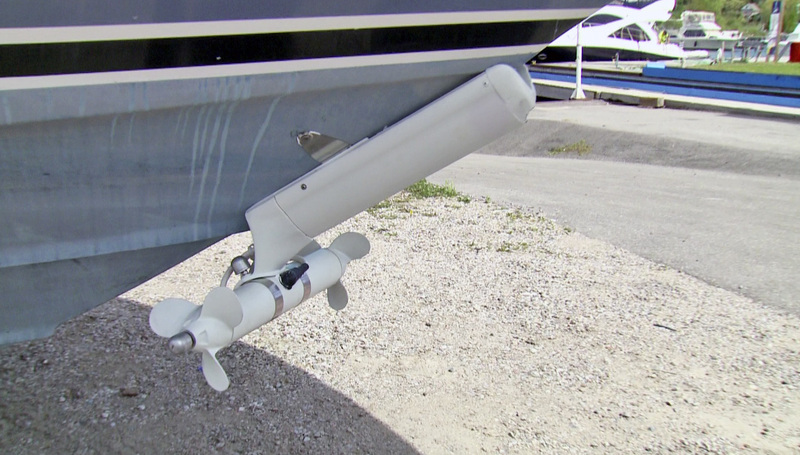 When positioning the thruster, it is key the propellers be a minimum of five inches below the waterline. After measuring, the thruster can be slid into the correct position and the bolt tightened. Next, holes had to be drilled for the two power cables and air vent. Sealant was applied to the cables and vent as they were slid into place. After cutting off the mounting bolt with a hacksaw (you can also use a reciprocating saw), the upper section of the thruster was slid into place and the side screws installed. Finally, a hole was drilled for the top bolt, which was inserted and then sealant applied. 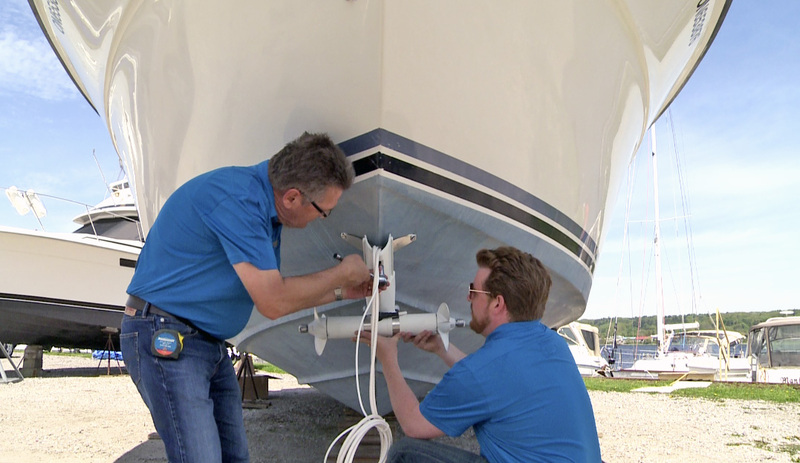 A washer and lock nut were installed inside the hull. Inside the boat is where these projects take the most time. For this particular boat, the main battery cables had to be run from the bow to the location for the batteries under the forward berth. 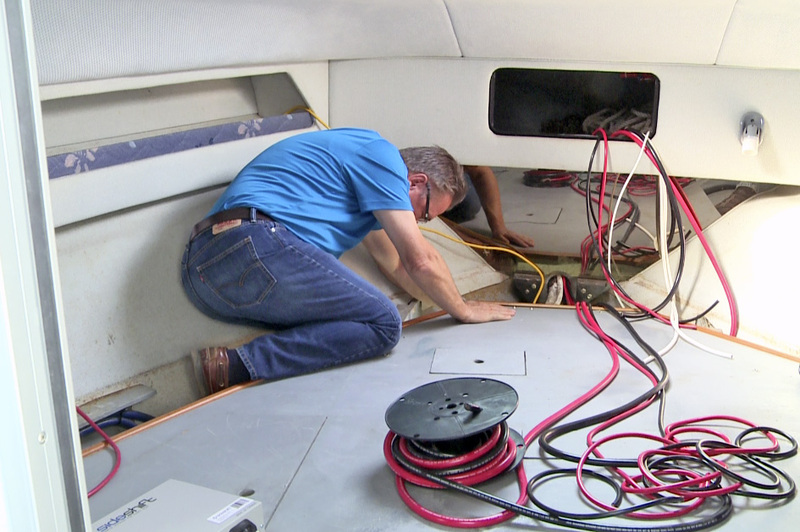 Cables were also run into the anchor locker for the charging circuit for the batteries. 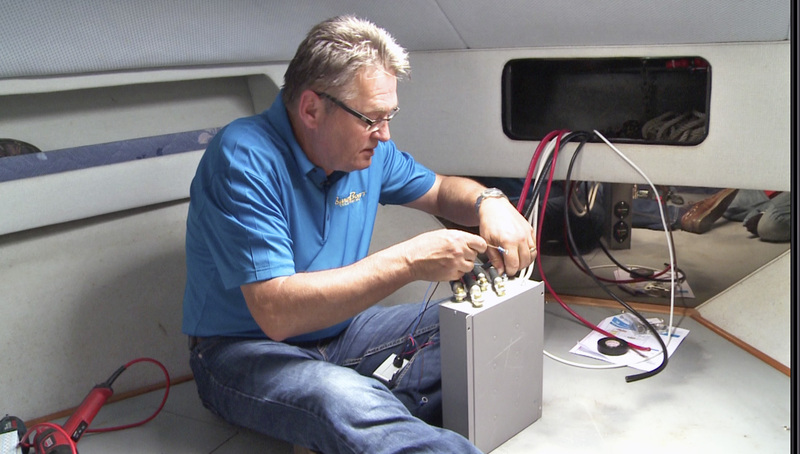 The next task was to wire up the Control Unit, which included connecting the battery cables, the cables to the motors and the charging cables. After stripping the cables, slipping on a couple of inches of heat shrink and installing the compression terminals, the cables were connected to the motor control unit following the detailed instructions and drawings provided. The final wiring was for the controls. Wireless controls were chosen for this installation. This only required connecting the control wires and two power wires to the battery terminals and using double-sided tape to mount the receiver on the control unit. After securing terminal covers over the connections, the motor control unit was mounted on the bulkhead inside the anchor locker. Inside the locker, the positive and negative power cables for charging the batteries were connected to the windlass power supply at the control solenoid. Next, battery trays were installed under the berth, where a drawer had been removed and the sealed marine AGM batteries were secured in place. Finally, the terminals were installed on the battery cables. The power and charging cables were then connected to the positive terminal of battery one and the negative terminal of battery two. 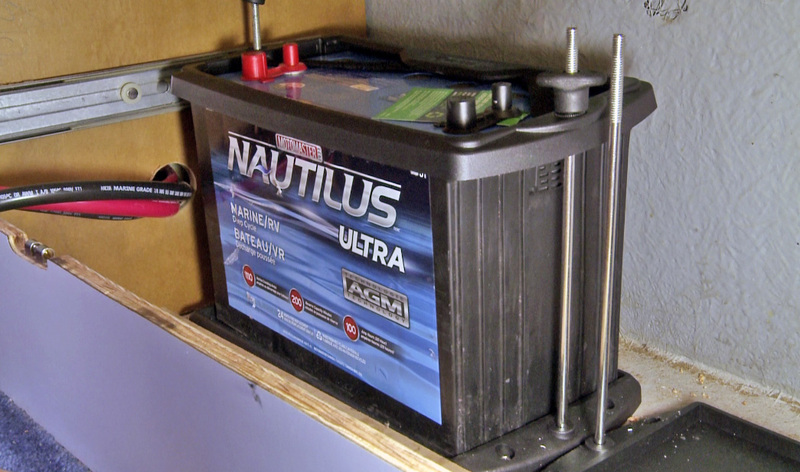 A jumper cable was used to wire the two batteries in parallel. 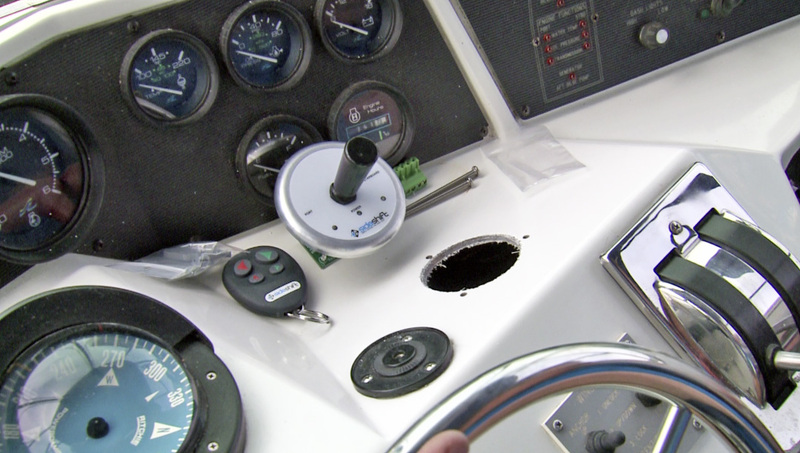 At the helm, a position for the joystick was selected, the template applied, holes drilled for the mounting studs and a 2½-inch hole cut for the unit. After securing the joystick in place, the transmitter’s positive power wire was connected to the hot side of one of the ignitions and the negative to a negative bus bar. Finally, it was secured with zip ties and plugged into the back of the joystick. With the project boat back together and all cleaned up, it was time to launch and try out the new Sideshift SS 340. Needless to say, the performance of the bow thruster was impressive. The boat spun easily and docking was a cinch even in the stiff breeze. This project is featured in the Fall 2014 issue of Boats&Places and in episode 2 of the 2015 Season of PowerBoat Television.